Julie Storey played a solo acoustic set at Sound of Music Studios last Thursday, and we made sure to be there to capture this rare, intimate moment. ‘doll baby’ is one of our favorite bands in Richmond. Normally more raucous and energetic as a full ensemble, Julie softened and slowed down their material for this performance. Her presence on stage had the whole audience spellbound. We didn’t want to over-complicate the production for this video. One angle, minimal editing. The focus is on Julie and the raw emotion her masterful vocals bring to all of their music. We're currently on the 10th day of Christmas. For those of you who still need that last gasp of holiday joy, here's a tasty little vid we made of the Richmond Christmas Boat Parade that took place earlier this December. Our friend Brian Lewis invited us to come and check it out since he participates every year. We had no idea what to expect. Honestly the thought of a boat parade in the middle of December on the James River at night sounded wild. Uncomfortable. Dangerous even. To top it all off, the day of the event it started snowing furiously. We decided to ship out anyway and see what came of it. Song by Big Thief "Mythological Beauty"
I have a classical training in fine art. This means I learned painting, printmaking, and drawing techniques. Courses would include figure drawing, life study, and painting en plein air. The true lesson in these courses was training your eye rather than your hand. If you cannot accurately see the shapes in front of you how will you translate them to paper? Even though everyone loves to make distinctions between art and design, high and low art, creativity and functionality the tools of production are often the same. I constantly use lessons I learned in my fine art training. Even when producing the most straightforward corporate work it is critical to consider: color, composition, rhythm, impact, social connotation, and historical context. Despite overlapping skills sets, there are definite realms of functionality fine art cannot exist within, so I like to stay busy on some creatively experimental side projects. Above is a show poster I designed for Blush Face (friends), Secrete Moths, Kleptokrat, and Aerica Lauren @ Garden Grove Brewing Co. I decided to make the poster black and white to keep cost down and to stand out next to all of the over saturated content we are constantly bombarded with. The composition of this piece is simple, strong, and centered. The rhythm of the texture in the middle is buzzing, bubbling, and popping. The simple composition lets this texture hum away without overloading the viewer's eye. Bold and simple textual info offers a repose from the complexity of the drawn texture. The hand drawn center and B&W print relates to so many DIY xerox band posters while contradicting them with a few simple vectorized shapes. Typical press for Breweries tends to be highly illustrative and saturated so hopefully this poster bucks the norm and arouses peoples' curiosity. Fotochrome does a lot of corporate and functional video and graphics work and we enjoy doing it; however, creative experimentation, music, traveling, and maintaining an artistic practice deeply gratifies us. Hopefully this blog will serve as as outlet for our own passion projects and adventures. Even when tasked with straightforward projects we like to make them into an adventure. 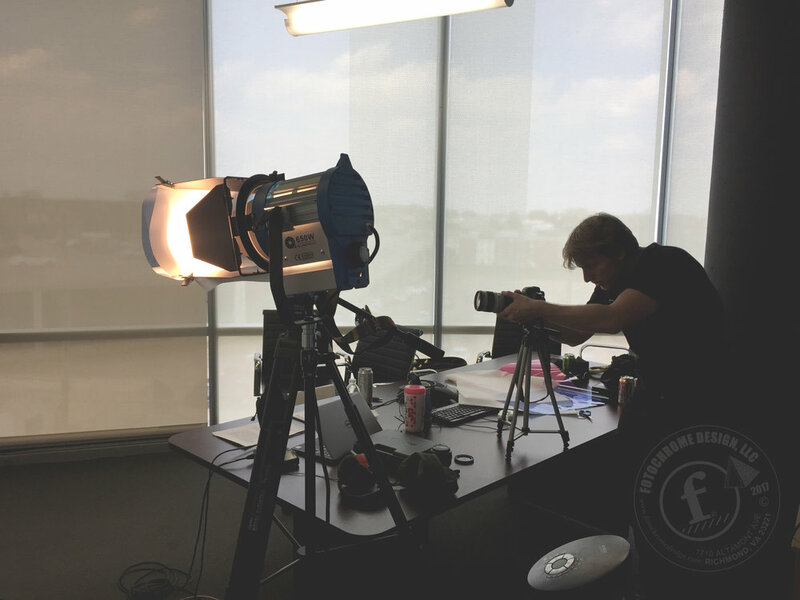 Recently, we filmed an online course for an SEO company based in Philly. We decided to haul our bikes up there and bike all over Philadelphia city center. 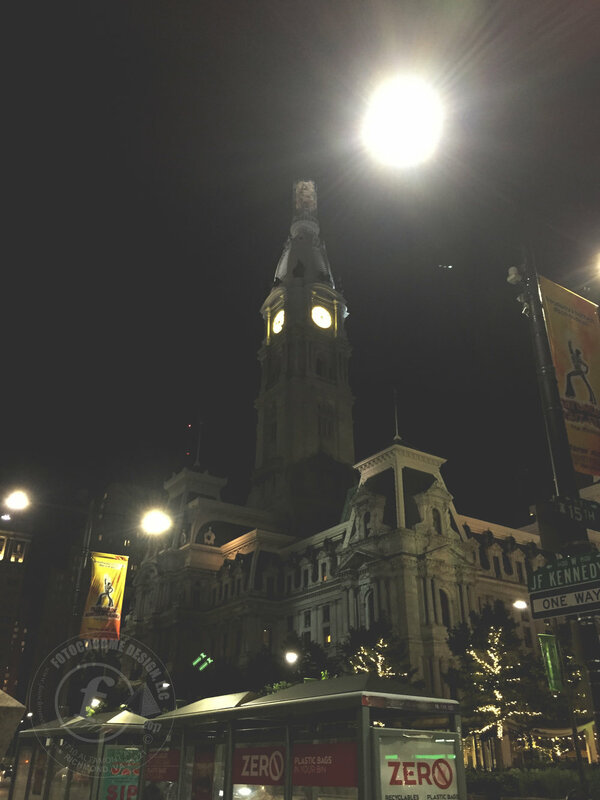 We hit notable monuments like city hall, the Liberty Bell, the Schuylkill River Trail, and Rittenhouse Square. We also got an amazing water ice at John's, a cheesesteak that may have been the best one I don't know, and a giant slice of pizza from Lorenzo's. Philadephia has an amazing old world feel, beautiful old streets and buildings, tons of one way streets great for biking, and a lot of junk food. The city is gritty but much more relaxed than other big cities. Philly has a unique character I never understood until we biked around it, tasted the food, and got advice from locals. I will add some pics from the trip and I hope I get to go back soon!